Coral Nymph and Mystique were the scarier colors from Le Metier de Beaute Creme Fresh Tint cream blush range. 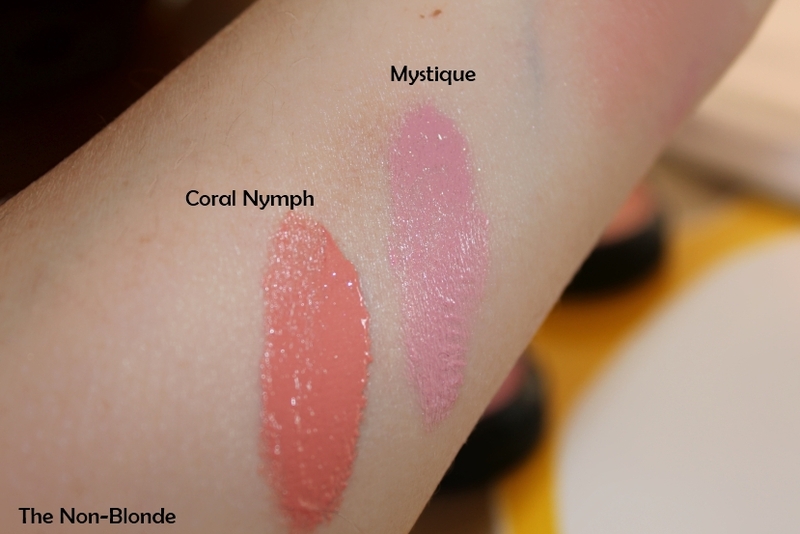 Of course, as a devoted user of Poppy I should have known there's nothing to worry about, neither from the very peachy Coral Nymph not from the cool pink of Mystique. But I did approach them carefully. 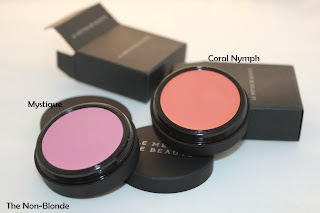 The secret of Le Metier de Beaute blushes, cream or powder, is the color complexity. 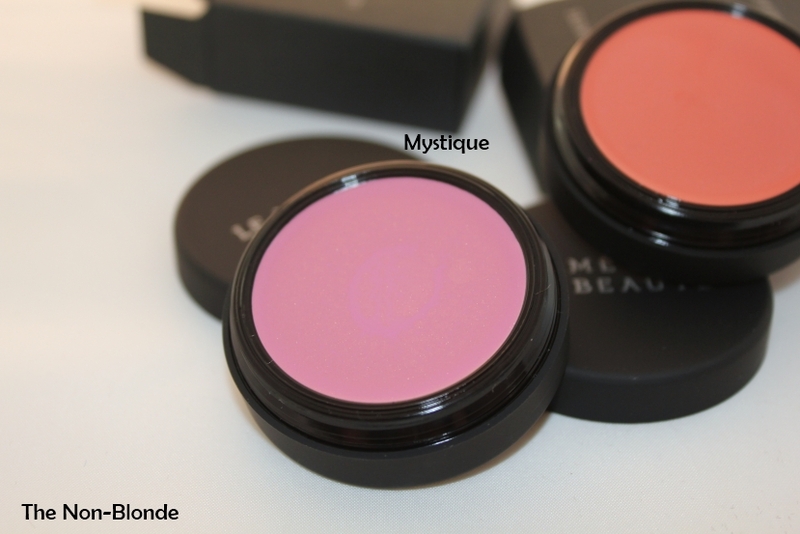 No matter how intimidating they looks in the pan, these blushes were meant to live on skin and blend with it, so they enhance your natural coloring. The striped swatch is very heavy. I used enough product for three or four faces in each. just so you can see the raw shades as accurately as possible. 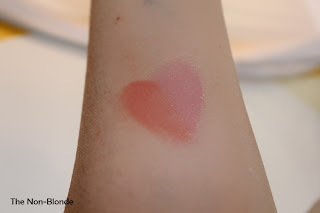 The second swatch is a saner version, though on my face I'd blend and sheer them even more. The center of the two-toned heart shows you both colors, Coral Nymph and Mystique, when blended together. This is my favorite way to wear them, actually. Mixing the warm and cool shades in various ratios has been a secret weapon lately in adjusting my cheek color for various eyes or lip looks. You can see photos of Mystique, including a lovely application, on Cafe Makeup. 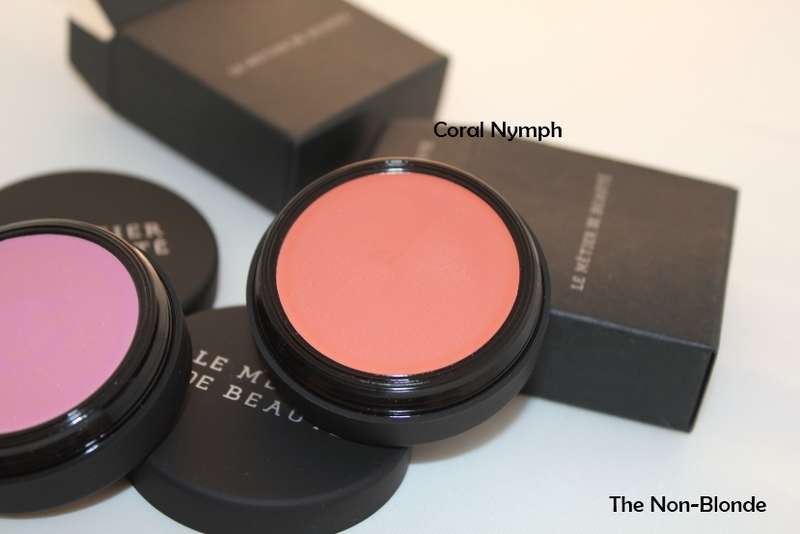 Le Metier de Beaute Coral Nymph and Mystique Creme Fresh Tint ($28 each) are available from Nordstrom, Bergdorf Goodman and Neiman Marcus, online and in store. Press samples were provided by the company's PR free of charge. I love the Creme Fresh Tints. Poppy will always be my favourite but I'm so happy with the new shades added to the selection as well. I love the two color heart, they are both nice wearable colors.